Over the weekend, we heard news about the upcoming super-match between former winners of The Open: Tiger Woods and Phil Mickelson. The 23rd November golf spectacular, simply dubbed “The Match” will see past Champion Golfers Woods and Mickelson face off one-on-one with a winner takes all prize fund of $9m (£7m). The event will take place in Las Vegas. The Match between Phil Mickelson and Tiger Woods will see a Pay Per View price tag of $19.99 (about £15), if the price for UK audiences is the same as announced for the United States – a price worth paying to see two greats of international golf tee off. Woods is the only player in history to hold all four majors simultaneously – the American is perhaps the most popular and successful golfer, not just of his generation but of all time. In terms of career earnings, Phil Mickelson comes in second place – earning $87m to Woods’ $112m in career winnings – and a notable chunk of both players winnings have come from championship wins at The Open. Both players have been staple golfers on both sides of the Atlantic. 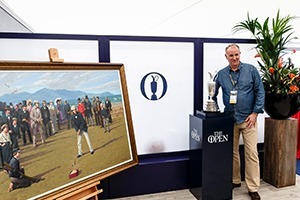 Phil Mickelson has golfed at The Open twenty-five times over his career – making his first appearance at the British major at Royal Birkdale in 1991. He won The Open in 2013 at Muirfield, taking home the Claret Jug and the title of Champion Golfer. Tiger Woods, who has appeared at The Open twenty times himself, is no newcomer to the golf tournament, either. He won back-to-back Opens in 2005 (St Andrews) and 2006 (Royal Liverpool), as well as taking home Championship Golfer at St Andrews in 2000. 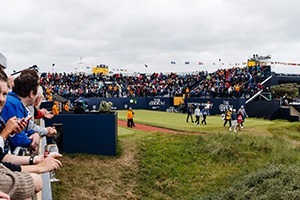 Eventmasters is an official provider of hospitality packages for golf events and tournaments, including the 148th Open at Royal Portrush in 2019. Browse through our many golf hospitality options spread over each of the days at the wonderful Northern Ireland golfing resort. 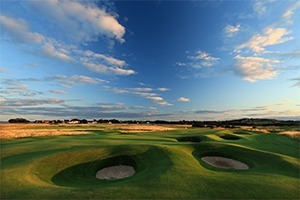 Royal Portrush is considered one of the best links courses in the world, and attracts fans and players from across the globe. 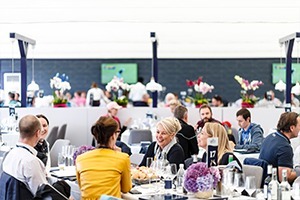 With The Open 2019 packages at Royal Portrush, you’ll be treated to some of the finest luxury corporate hospitality in wonderful exclusive facilities. So far, no announcements regarding tickets for The Match between Mickelson and Woods have been made. It is unclear if public tickets will be made available, but the event will be streamed online via the B/R Live app, and other streaming services. We have a number of VIP hospitality packages on offer. With five days of golf covered and a range of prices, you’re sure to find something that’s right for you and your important guests. Whatever the occasion, there is the perfect package waiting for you! 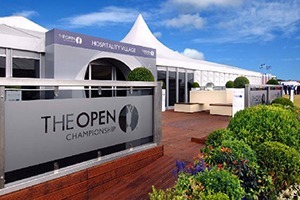 Golf tickets and hospitality packages have never been so easy to secure.